In 1878, Wellington had been the first city in the southern hemisphere to operate a steam tram service (see 24 August), but this proved unpopular and by 1892, the city had reverted to horse-drawn trams. Facing financial problems, the Wellington City Tramways Company was purchased by the Wellington City Corporation in 1900. Two years later the WCC decided to introduce electric trams. On 30 June 1904, the first electric tram ran from a new depot in Newtown to the northern side of the Basin Reserve. The system was later extended to the new Lambton railway station at the junction of Thorndon Quay and Featherston St. 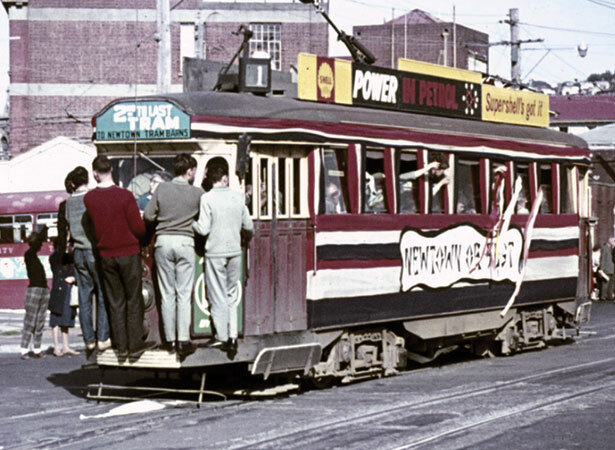 In its heyday, Wellington’s tramway network covered more than 52 km. The increasing number of private cars and buses eventually forced the closure of New Zealand’s last electric tramway system in 1964. We have 7 biographies, 16 articles, related to New Zealand's last electric tram trip.